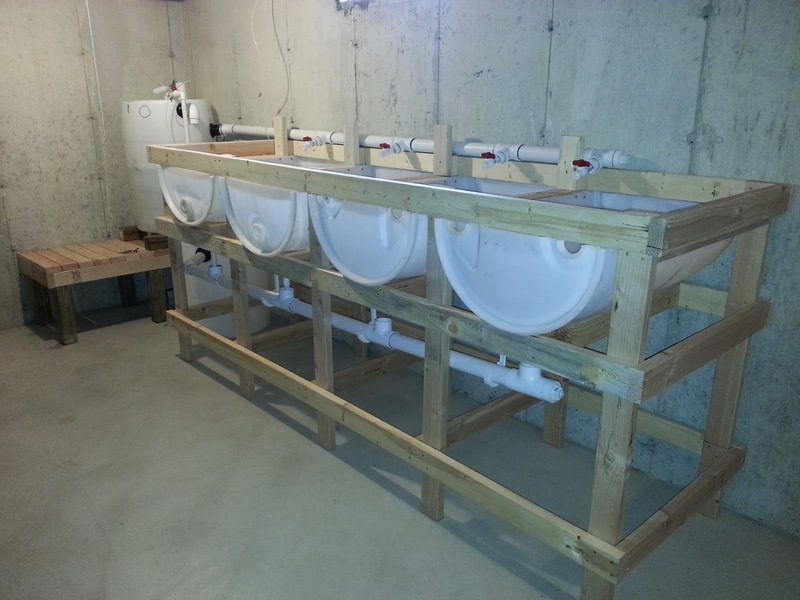 This is an overview of our new aquaponics setup that we put together in our basement. The system has been running for a couple of weeks and is just starting to product the proper nitrate levels to sustain plants! We have already started growing oregano, lettuce, broccoli and tomatoes. The plants are still very small.